We would like to welcome you to our website and tell you a little bit about our facility. 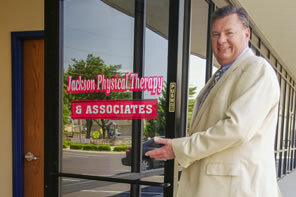 Jackson Physical Therapy & Associates, Inc. is a privately owned out-patient physical therapy practice. The practice originally opened February 5, 1999. We treat all types of neuromusculoskelatal injuries. Our goal is to assist each individual with the return to his or her pre-injury level of function, while making the experience here as enjoyable as possible. In order to achieve our goal, we place a great deal of emphasis on manual therapy techniques and individualized therapeutic exercise programs. Jackson Physical Therapy & Associates is proud to be a provider of the advanced HIVAMAT® technology for deep oscillation therapy in the state of Indiana. Deep oscillation therapy is a totally unique form of physical therapy. This advanced therapy utilizes an intermittent electrostatic field via a HIVAMAT® machine. It penetrates deeper into the body tissue than manual methods, allowing previously "untreatable" injuries to be manipulated with a minimum of physical pressure. Electrostatic waves create a kneading effect deep within the damaged tissues, restoring flexibility and blood supply to the affected area. 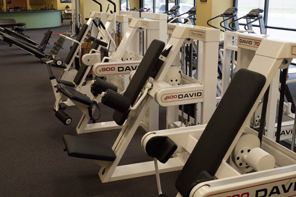 If you currently do not have any type of dysfunction that would require physical therapy services, but you are looking for a medically supervised exercise center that would allow you to improve your physical and cardiovascular conditioning in a friendly and relaxed atmosphere, we would like to have the opportunity to give you a tour of our facility.